Pocopson Home residents and staff celebrate the facility’s 5-star rating with five gold star balloons. Front row (l to r): Resident Diane Graham; Alicia Cellucci, Director of Nursing; residents Allan Schwartz and Jack McCullough; Back row (l to r): Resident Richard Dilworth; Sandy Bassick, Director of Social Services; Tony Lobb, Resident Assessment Coordinator; resident Betty Allen; Pocopson Administrator Jackie McKenna; and Jen Ragonese, Wound Care Specialist. POCOPSON — Pocopson Home, Chester County’s long-term healthcare facility, has received a 5-star rating from the Center for Medicare and Medicaid Services. Pocopson received 5 stars for its overall rating. Health inspection, quality measures, staffing and Registered Nurse staffing were all measured to reach the overall star rating. McKenna received notification of the ranking earlier this month. The professional skills and resources offered at Pocopson Home – from 24-hour nursing care to existing medical transportation services – were expanded in 2015 with the addition of a short-term rehabilitation service. “The addition of short term rehab services was a good move for the Chester County community because it not only helped to meet a need for more short-term rehabilitation options, but it has also generated revenue that offsets some of the overall costs of running the largest skilled nursing facility in the county,” said Chester County Commissioner Terence Farrell. Pocopson Home now offers both short- and long-term medical and nursing services, placing emphasis on rehabilitation for the purpose of returning residents to their homes and community environment. Pocopson is certified by the Medicare and Medicaid programs, and accepts private pay residents and other third party payors. 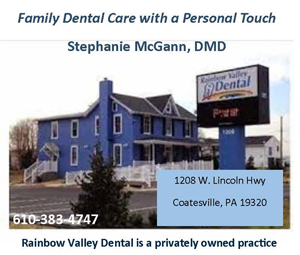 The Home is licensed by the Pennsylvania Department of Health to provide services to 275 residents.